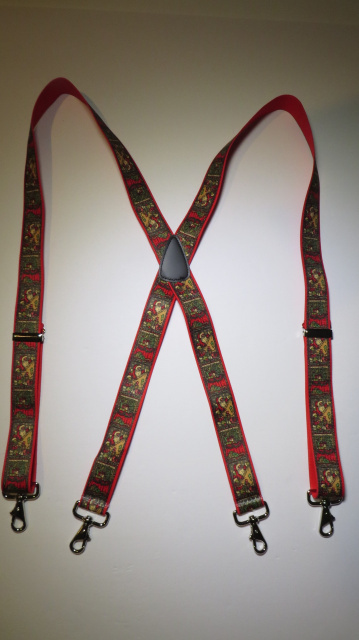 SNAP-ON to Belt Loop Style "X" & "Y" and Side GRIP SNAP-ON to Belt Loops Suspenders. Snap-On Style Suspenders Clip Quickly and Securely onto Belt Loops. Cotton/Polyester Hand Washable MATERIAL. SNAP-ON to Belt Loops. 1" Wide "Y" SNAP-ON Style CHOOSE from Over 25 COLORS and 6 Sizes. 1 1/4" wide. "X" Style. 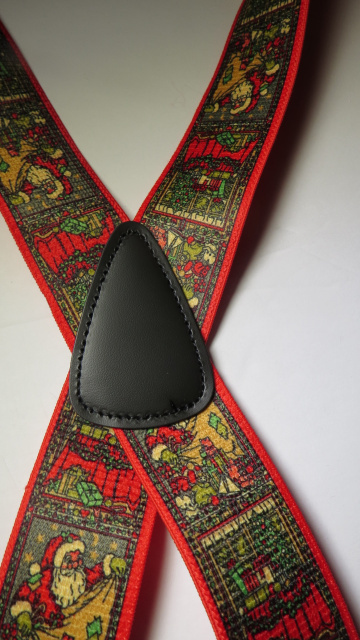 Has ADJUSTABLE METAL Back Patch with Snap-On to BELT LOOP Attachments. 1 1/4" Wide Y Style. SNAP-ON to BELT LOOPS CHOOSE from Over 25 COLORS. 1 1/2" & 2" wide. "X" Style. 40 COLORS or Designs COTTON/POLYESTER Material. 4 SIZES. 1 1/2" & 2"wide. "Y" Style. 25 COLORS COTTON/POLYESTER Material. 2" wide. 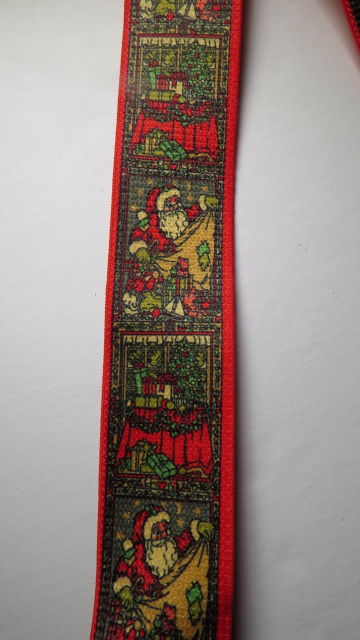 NON-STRETCHABLE EXCEPT Strong 2" Straps under the Back Patch. 2" wide "X" HEAVY DUTY Cotton/Polyester MATERIAL. SNAP-ON to Belt Loops. WITH LEATHER BACK PATCH, HEAVY DUTY MATERIAL, and STRONG STAINLESS STEEL SWIVEL SNAPS. 2" wide "X" INDUSTRIAL HEAVY DUTY MATERIAL Entirely Elasticized Cotton/Polyester. SNAP-ON to Belt Loops. 1 1/2" & 2" SIDE-GRIP Stainless Steel Swivel Belt Loop Snap-On Grips. COTTON/POLYESTER 4 SIZES. 1 1/2" & 2" "Y" SNAP-ON Style.